Having lived in New England for a bit, I have this idea that fall should be full of color and coziness, with a cool crisp in the air and LOTS of trips to the apple orchard. But in Dallas falls are just not that way and are usually still VERY hot! So we Texans have to find different ways to savor the season. Today I am thrilled to partner with one of my favorite affordable (and ready to ship!) 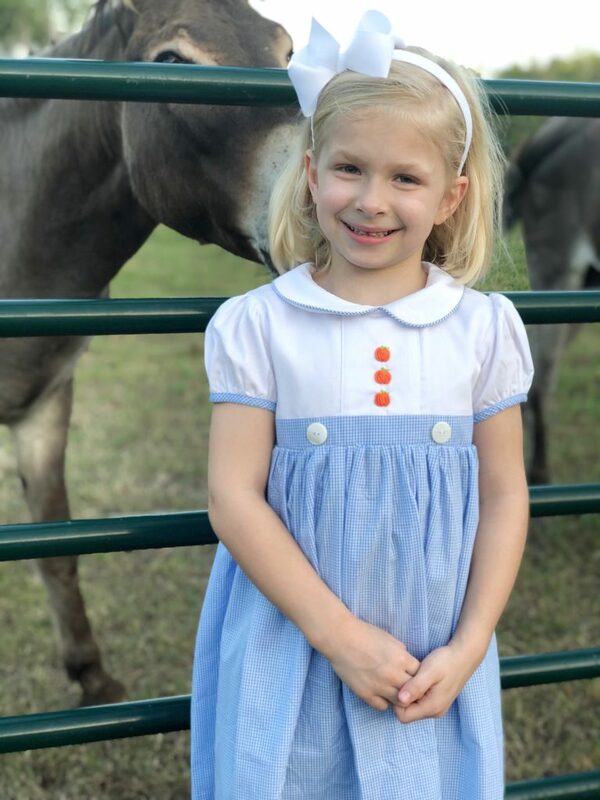 classic children’s clothing brands, Eliza James Kids, to share some sweet and simple fall traditions you and your can enjoy in any part of the country (and in the cutest pumpkin attire!). This post is sponsored by Eliza James Kids. Thank you for supporting the brands I love! I realize this now that I have an 11 year old, but young children are amazed by the smallest things. We don’t have exhaust ourselves trying to do “all the fall things” because simple is usually better (and makes us less stressed out). 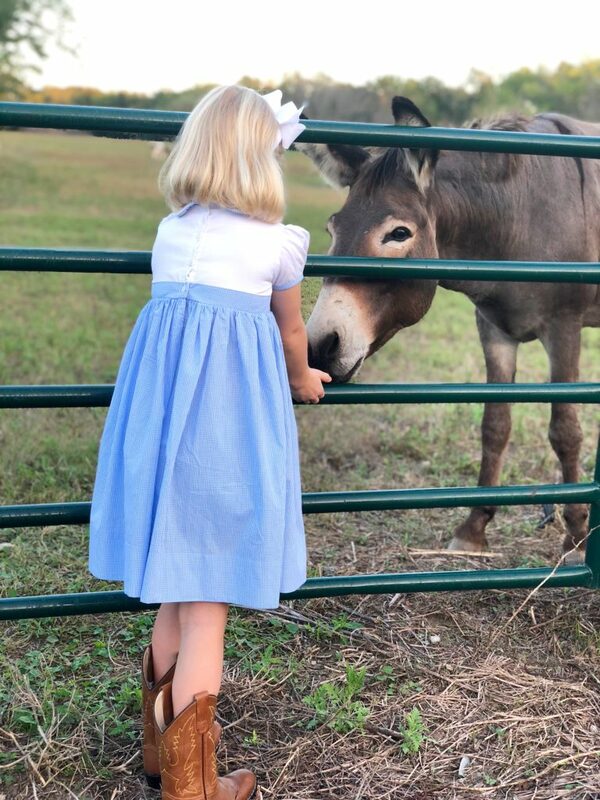 For example, when our second born had numerous medical needs, and money was very tight, our big fall outing for several years consisted of going to the “pumpkin patch” at the nearby Methodist church and later carving the one pumpkin we picked out. But you know what? Our girls LOVED it. They still talk about the little hay maze in the parking lot that they ran through a dozen times. Even children in the city and manicured suburbs can learn to appreciate nature if we slow down a little bit. Unhurried afternoon walks are a time when we can finally enjoy being outdoors again after a long, hot summer. My once impatience self now enjoys seeing my five year old just piddle and explore as we go, stopping and picking up acorns and flowers and noticing the changing leaves. I try to talk to my baby about everything from the trees to the wind to the birds chirping in the trees. If you need a bit more structure, have your children collect leaves and tell you how they are all different (maybe even have them sketch or paint the leaves the next day for a fun activity). My older girls love nature scavenger hunts on our walks. Who can find a fern, an acorn, a twig, a red leaf, a yellow leaf, etc. I usually keep Louise in her little push car so she doesn’t “eat” all the nature:). You don’t have to bake ALL the fall things. One delicious smell again and again will evoke lifelong memories. For us it’s pumpkin bread. Either homemade (recipe in this post) or the yummy Trader Joe’s mix. We only make it in the fall, but we make it often! Adorable embroidered dress linked below. I keep a pretty basket of books displayed in my den all year round. Every few months I change out the books based on the season and display them along with our current library books. Having books about autumn bring forth the good feelings even when it’s 95 degrees outside:). Love Rebecca Caudill books and this one is sweet to read as the new school year begins. I know every family is different but my husband and I prefer our family downtime at home. Footballs on Saturdays is a daddy/daughter must. But once a season or so we will do a “big” family activity like go to the Dallas Arboretum or State Fair. Again, we want these expensive activities to be special, not expected. 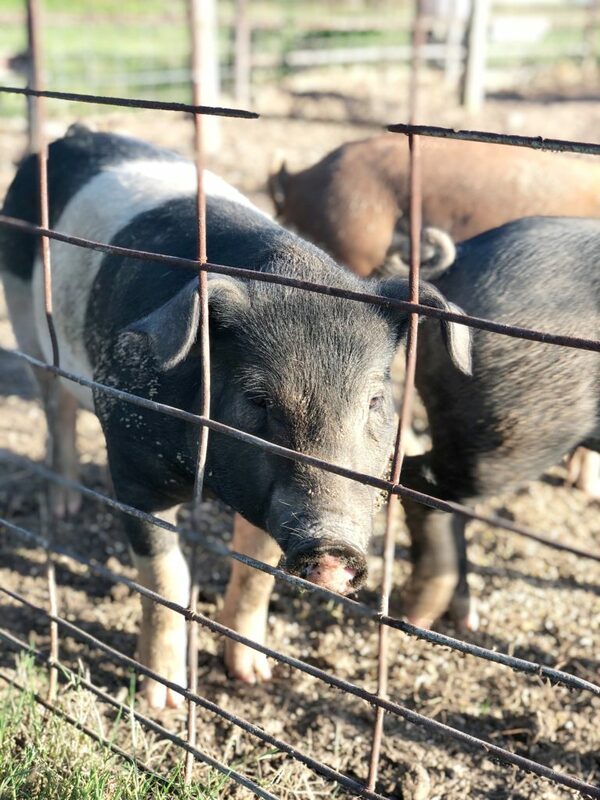 On other weekends during the fall we will try to go biking as a family or on an easy hike on the outskirts of Dallas or go to our friend’s farm or anything that is inexpensive. (A necessity with four children!) 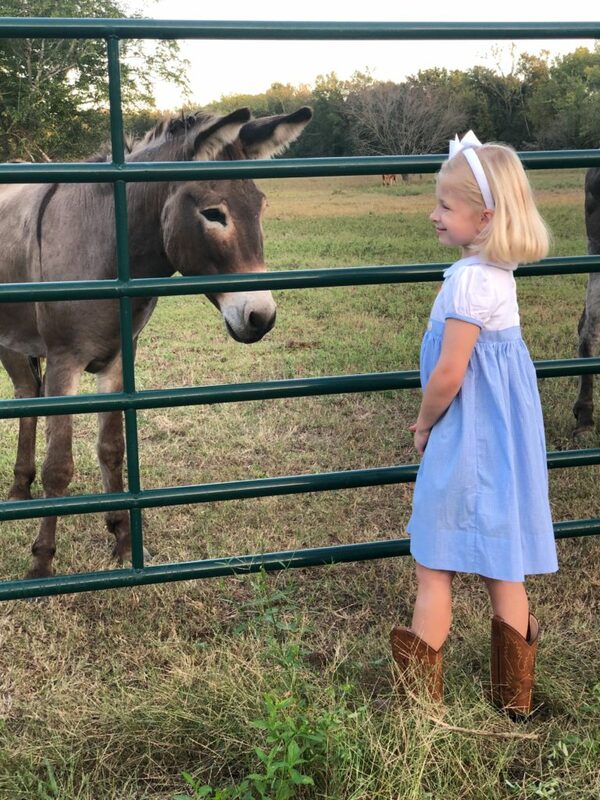 In Dallas there are so many free family festivals with petting zoos and pumpkin carving so those are always fun last minute options, too. 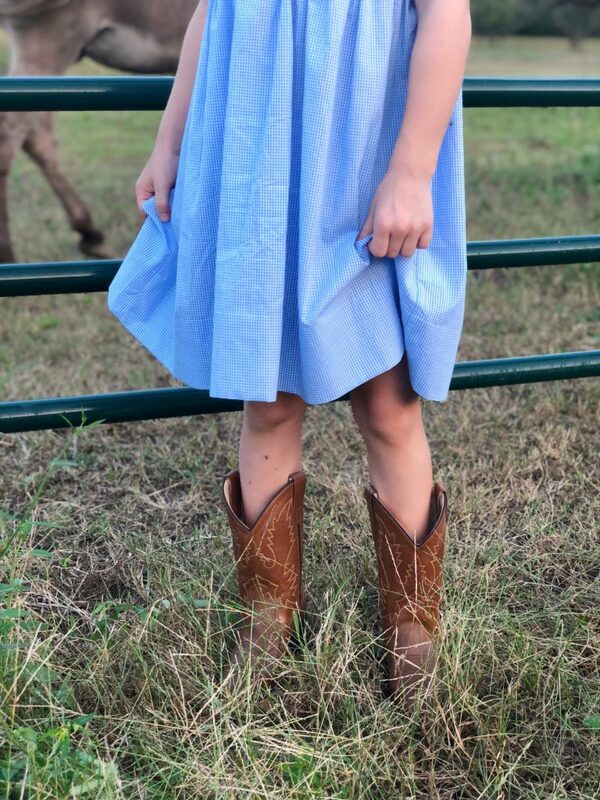 This may be a Texas tradition but as a transplant I’ve noticed that as soon as fall hits the cowboy boots come out! Something about breaking out the boots makes fall official and oh so festive. 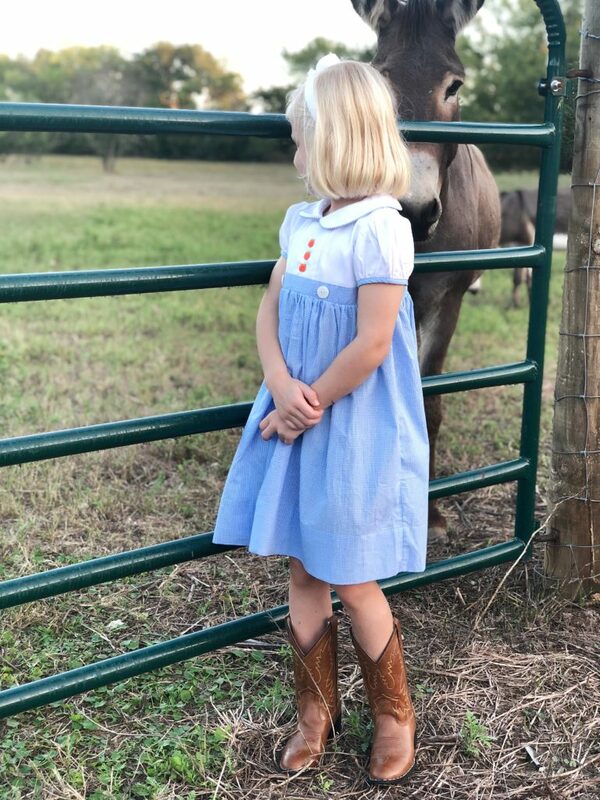 And there is nothing more adorable than little girls in cowboy boots and pumpkin dresses from Eliza James. 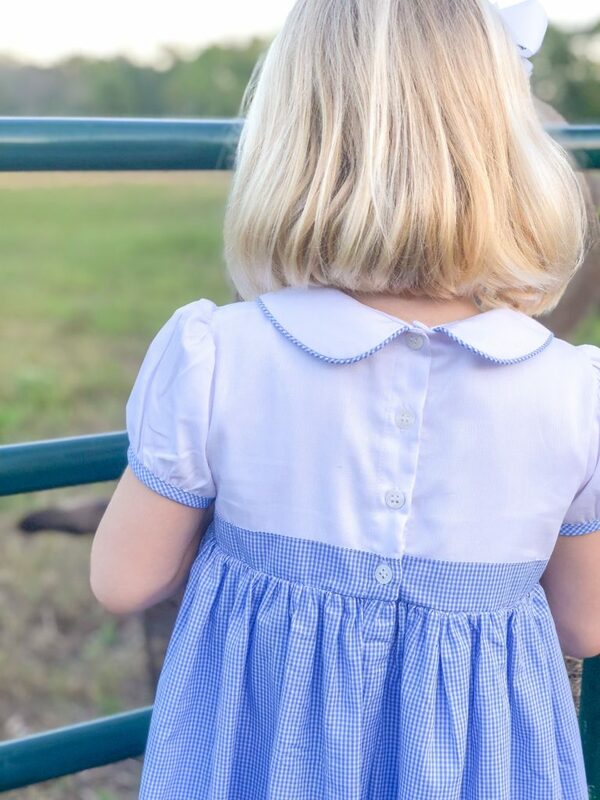 Perfect for trips to the pumpkin patch, family outings, farm-themed birthday parties, and more. 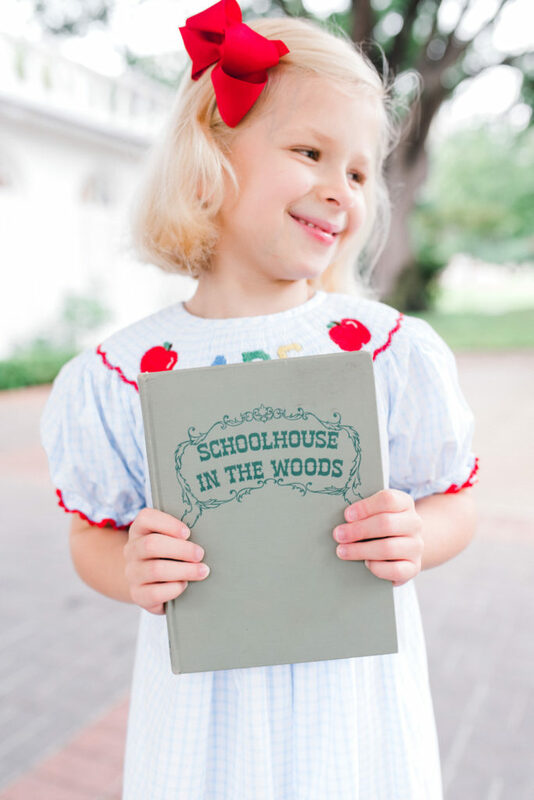 Eliza James Kids has the cutest pumpkin dresses, jon jons, bloomer sets, and bubbles right now that start at just $29. Better yet, they ship immediately! The quality is great especially for the price and they make it so easy to match siblings. And I’ve written about their sister company Cecil and Lou before. 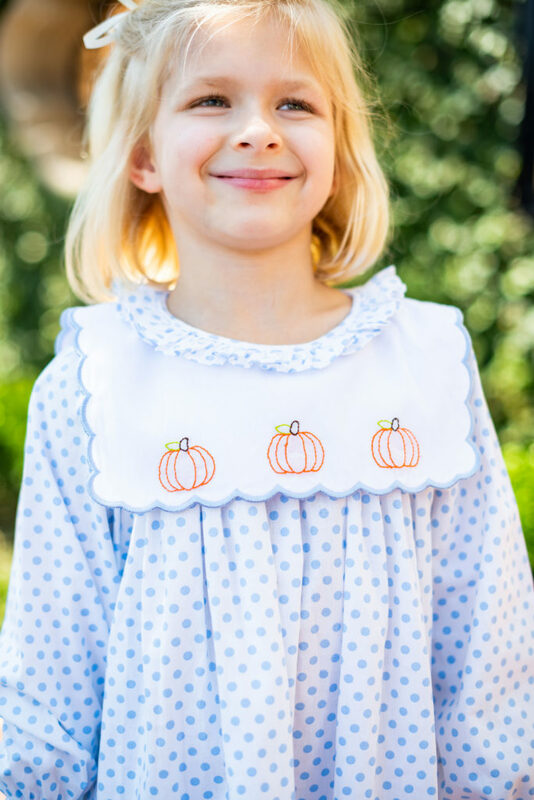 They have darling pumpkin jon jons and dresses (including the blue dot embroidered pumpkin dresses above) as well as adorable Thanksgiving outfits you can pre-order now. What simple activities and traditions do you like to do in the fall? Share below!